Your path to success in the mortgage brokering industry begins with "The Mortgage Agent&apos;s Path to Success," a book written by industry professional Joseph J. White. 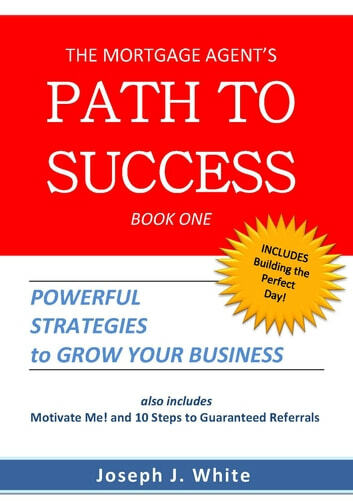 This inspiring book includes Motivate Me!, a vital step in self-motivation that will help you define what success means to you and keep you focused on it every day. 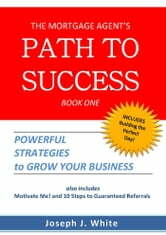 Including powerful strategies to grow your business, you&apos;ll find this book an invaluable tool in your personal path to success. Joseph J. White has been involved in the mortgage industry over the past 20 years. He began his career as a mortgage agent, and has since held positions of National Sales Manager and VP of Sales with two national mortgage lenders as well as partner at a successful mortgage brokerage. He has owned a mortgage investment corporation (MIC) and been principal broker of a commercial brokerage/lender. Mr. White is currently President of the Real Estate and Mortgage Institute of Canada Inc. (REMIC). He has been involved in the development and delivery of the previous mortgage broker licensing program, (the Financial Services Underwriting or FSU program) through Seneca College since the mid-1990s, as well as the new Mortgage Agent Program (MAP) and Mortgage Broker Program (MBP). He has instructed over 10,000 students and in 2003 won the Excellence Award for teaching and leadership excellence. His textbooks are used in the mortgage agent course and were the standard in the mortgage broker licensing courses through Seneca College.